Mangrum Air Conditioning, Inc. is proud to serve the Morgan Mill community! 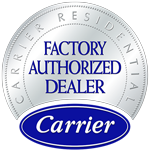 About Morgan Mill, TX - Happy to be your hometown Heating & Air Conditioning Contractor! 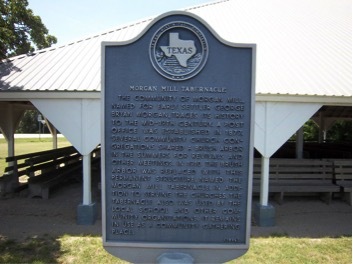 Morgan Mill is a small, unincorporated community located in northeastern Erath County, and it is home to about 200 residents. This town is located along the North Paluxy River at the intersection of U.S. Highway 281 and Farm Roads 1715 and 1189. This community was the former site of a wheat and corn mill that moved to the area in 1874. Morgan Mill was named for George Morgan, who bought an interest in this mill, and it later served as a small trading community. Most recently, Morgan Mill has started to draw some retirees to the region from the Dallas-Fort Worth area. As a small town with only a couple of hundred residents, Morgan Mill isn’t home to any major attractions. There are a few businesses located here, including Crazyhorse Rod Shop and the Morgan Mill General Store. Fortunately, there are several notable places to visit in the surrounding communities, and residents may like to visit area restaurants like Natty Flat Smokehouse in Lipan or Greer’s Ranch Café in Stephenville for dinner. There are also several golf courses located in the region, including Star Hollow Golf Club in Tolar and Tejas Golf Course in Stephenville. Morgan Mill is situated within a humid subtropical climate zone, but residents will need to invest in both home heating and cooling systems in order to stay safe at different times of the year. Furnace or heat pumps may be needed for a few months during the winter, and even though average daily highs reach the upper-50s, overnight lows can fall to the 30s. However, weather extremes are more likely to occur during the summer months, when high temperatures into the upper-90s are a daily occurrence. By having your home heating and cooling systems serviced periodically by an experienced HVAC technician, you can ensure that they’ll work when needed while helping to keep your energy costs affordable.